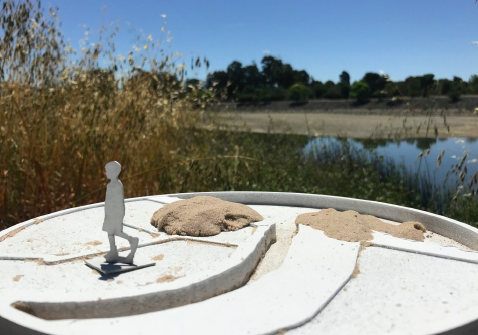 Public Sediment created a kinetic sand with 3-D printed figurines of structures, activities, and people. This was designed for kids to build how they want the creek to look and was used at Earth Day tabling, and the teen workshop at Union City Teen Center. Buy kinetic sand and design 3-D printed objects for kids to play and build with the sand.